Jumping into real estate investments without proper preparation can lead to regret and financial loss.It’s sometimes best to list poor investment properties on the market and cash-out before unrewarding endeavors worsen. However, the real estate market is continuously fluctuating, which means investors can actually lose money if they don’t time their resale appropriately. Properties may be valued higher or lower than their initial purchase price, after assessingdepreciation, physical modernizations and market standards. Rather than face potential monetary losses on unwanted investment properties, use these four measures to determine the best time to sell. Rental building owners, like all property owners, can fall underwater on their mortgages. Negative equity occurs when market value descends and homeownersor investors owe more on their mortgages than their properties are worth. 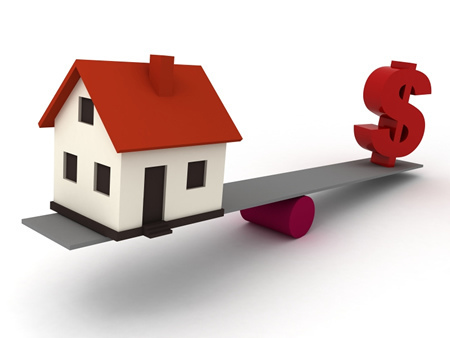 Usually, financially stable landlords remain patient until the market picks up again, especially with cash-flow positive properties.Individuals who have enough in the bank to continue paying their mortgages without regular rental incomes might also consider deferring resale. After all, local markets can shift rapidly. More than 26 percent of all landowners in Orlando, for example, are currently underwater on their mortgages. At the same time, rental listings in Orlando increased in price by over $100 in the past year, according to Zillow’s Rental Index. With such a strong national and local rental market, investors in many major metros might regain equitable control on their properties in the near future – making postponing selling a practical choice. The primary purpose of investing in property is to profit. Usually, seasoned investors analyze the cash-flow potential prior to procuring properties. Inexpensive buildings, while easier to acquire,involve time and work to generate enough money to fund mortgages and other investment-related expenses, such as maintenance fees, employee salaries and property management software subscriptions. Landlords losing money well after the first six months, especially by $1,000 or more, should seriously consider cutting their properties loose. With such large expenditures, they won’t breakeven for many years. While properties absorbing cash aren’t ideal, they have the potential to turn around – especially in today’s hot rental market with strong tenant competition. Patient owners who make property upgrades can reap profitable income in the future. However, if properties are dilapidated beyond repair or require large-scale improvements that investors can’t fund, then it’s time to list and absorb the loss as a learning experience. Individuals who acquire rental properties as passive investment opportunities assume sole responsibility for their properties. Many landlords fail after erroneously assuming they can run their properties without management experience while maintaining full-time careers.Investors can skirt the responsibility of management by co-investing or looking into buy-and-hold strategieswhere they can provide investment capital without screening tenants, marketing vacant units or hiring contracting professionals. However, lack of control creates risk, which is why extensive due diligence to avoid scams is absolutely necessary. Personal commitments don’t always translate into fruitful side ventures. Property investors with diverse portfolios might consider selling one to two of their properties, especially when cash-flownegative, as long as the aforementioned specifics don’t hinder resale. This article originally appeared on The DIV-Net on January 22, 2014. I posted back on December 30, 2013 that I picked up an initial position of 100 shares of ESV. You can find that post here. 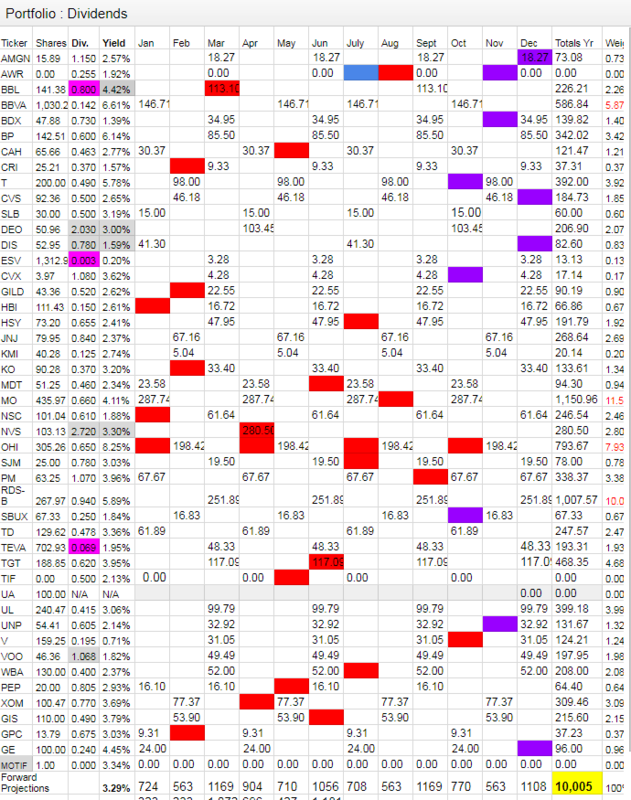 I also took notice of Helmerich & Payne (HP) during my most recent January CCC 10-year YOC Rankings. 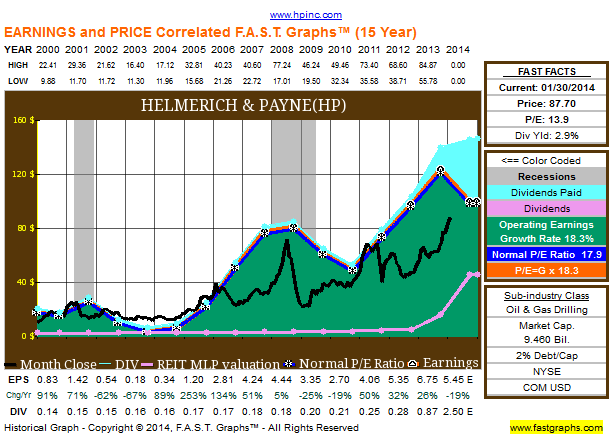 HP wasn’t on my radar before because its dividend was too low for me to notice. 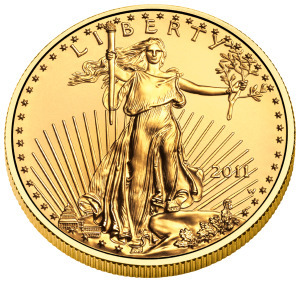 Now a Dividend Champion with a 42 year streak of increasing dividends is paying a yield of over 2%. Now this isn’t huge but their recent growth is where the attraction is. Let’s First take a look at ESV. 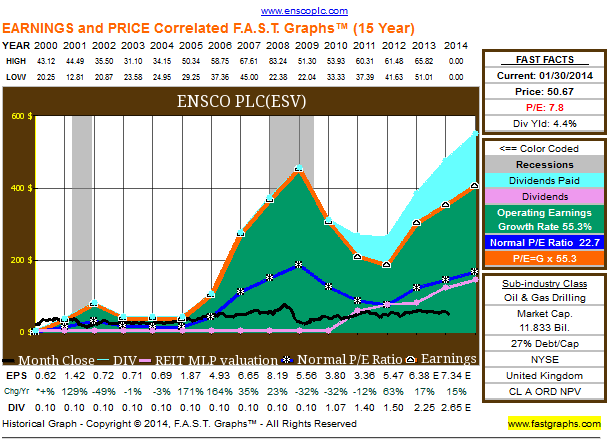 Ensco plc (Ensco) is a provider of offshore contract drilling services to the international oil and gas industry. 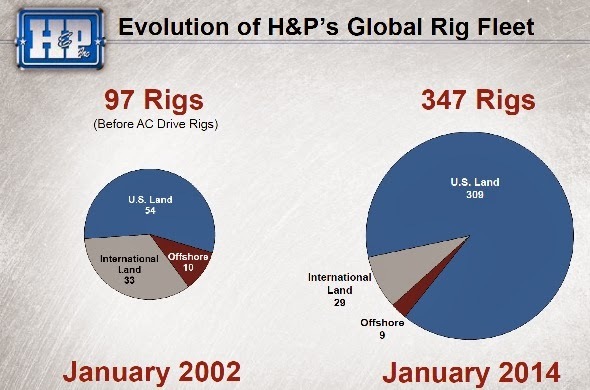 As of December 31, 2011, the Company owned and operated an offshore drilling rig fleet of 77 rigs, including rigs under construction. As of December 31, 2011, its rig fleet included seven drillships, 13 dynamically positioned semisubmersible rigs, seven moored semisubmersible rigs, 49 jackup rigs and one barge rig. Its customers include national and international oil companies. On May 31, 2011, the Company completed a merger transaction (the Merger) with Pride International, Inc., (Pride), ENSCO International Incorporated, an indirect, wholly owned subsidiary and predecessor of Ensco plc (Ensco Delaware), and ENSCO Ventures LLC, an indirect, wholly owned subsidiary of Ensco plc (Merger Sub). Pursuant to the Agreement and Plan of Merger, Merger Sub merged with and into Pride, with Pride as the surviving entity and an indirect, wholly owned subsidiary of Ensco plc. ESV’s sole focus is offshore drilling. 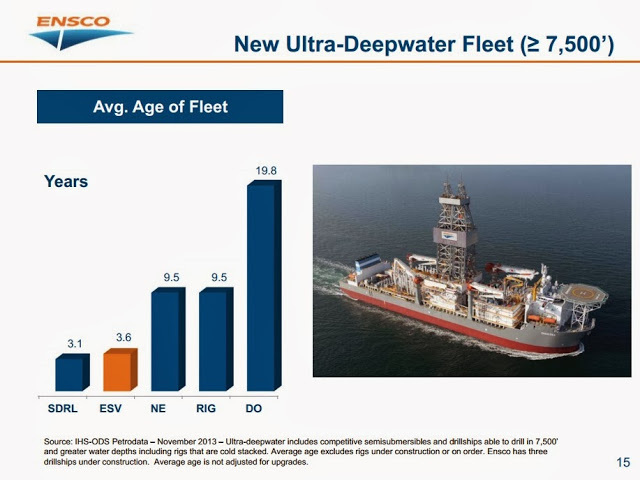 Ensco provides offshore drilling services as deepwater, midwater and premium jackup services. They have the largest premium jackup drilling fleet in the world holding the most 400′ rigs of any fleet. Part of the reason I like ESV is for their estimated future EPS growth. 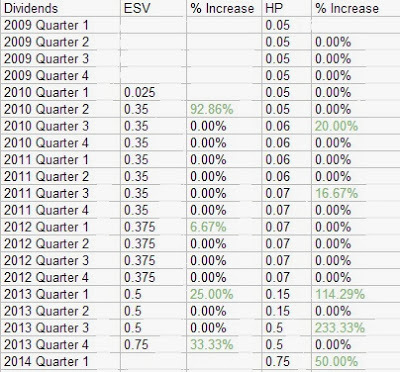 Also ESV has increased their dividend dramatically in the last year. ESV is rated #1 in customer satisfaction for three consecutive years. They have a Baa1/BBB+ rating from Moddy’s/S&P. ESV also has a younger fleet age and good international exposure. Helmerich & Payne, Inc. is engaged in contract drilling of oil and gases wells for others and this business. The Company’s contract drilling business is composed of three reportable business segments: U.S. Land, Offshore and International Land. During the fiscal year ended September 30, 2012 (fiscal 2012), the Company’s U.S. Land operations drilled in Oklahoma, California, Texas, Wyoming, Colorado, Louisiana, Pennsylvania, Ohio, Utah, Arkansas, New Mexico, Montana, North Dakota and West Virginia. Offshore operations were conducted in the Gulf of Mexico, and offshore of California, Trinidad and Equatorial Guinea. 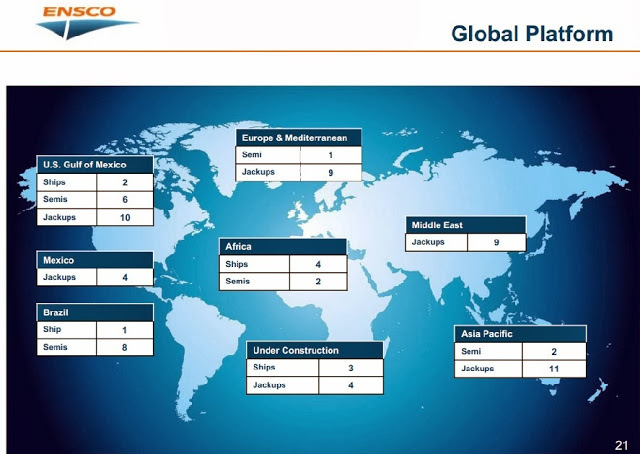 During fiscal 2012, the Company’s International Land segment operated in six international locations: Ecuador, Colombia, Argentina, Tunisia, Bahrain and United Arab Emirates. The Company is also engaged in the ownership, development and operation of commercial real estate and the research and development of rotary steerable technology. 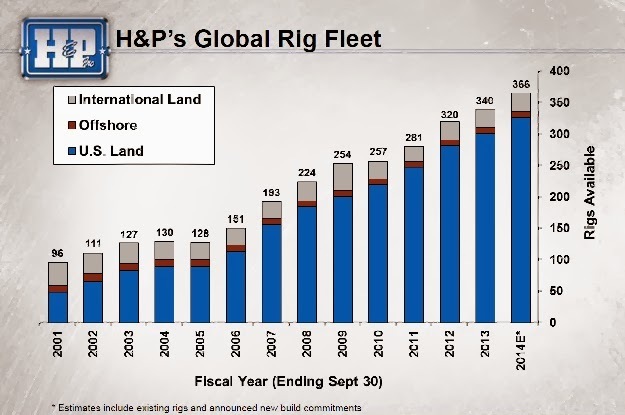 As you can see, HP’s primary focus is on U.S. land rigs. Notice that I highlighted in green the increases. 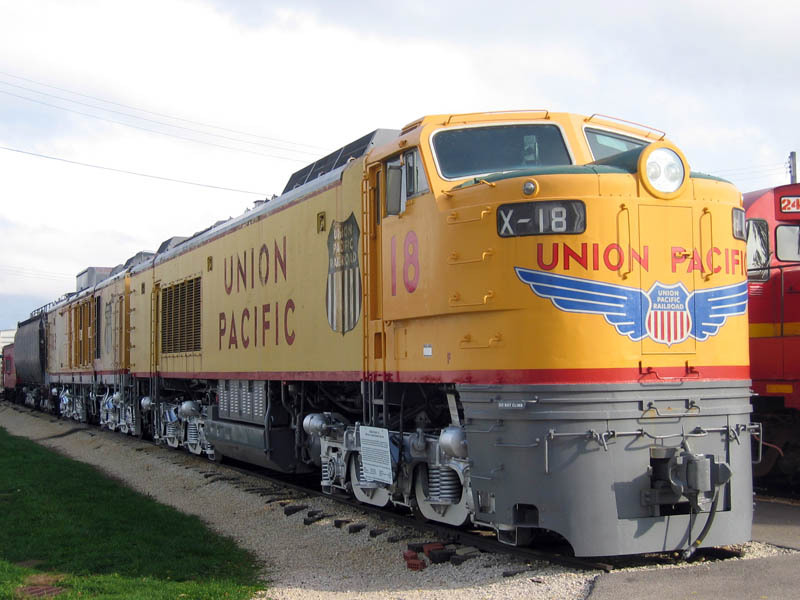 Both companies have had some dramatic dividend increases lately. This is most surprising with HP since they have been increasing their dividend for 42 straight years! HP wasn’t even on my radar until recently when they increased their dividend to .50 and then to .75 payable in the first quarter of 2014. Here’s what the growth of $10,000 would have looked like over the last 5 years. 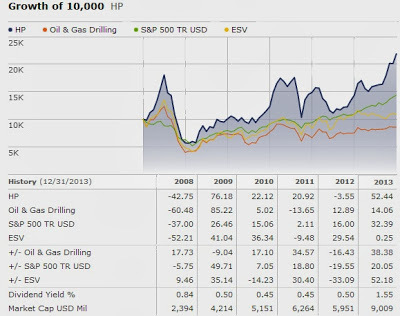 HP beat the S&P 500, ESV and the Oil & Gas Drilling industry average. With HP sitting near their 52-week high, I’m inclined to add to my ESV position. I’m also more interested in the international exposure and future EPS growth. Disclosure: Long ESV and I added another 100 shares after the article. This article was written by All About Interest. If you enjoyed this article, please consider subscribing to my RSS feed. I’m reporting an options trade that executed on Tuesday. It’s not a secret that I think TGT is currently providing decent value in this market. I have been adding shares for months and dollar-cost-averaging. I’ve now amassed a position of 115 shares at a cost basis of $64.36. Shares of Target keep edging lower and are current around $59/share. In addition to keep adding shares, I decided to sell a put. This put allows me the opportunity to pick up shares of TGT much cheaper than my cost basis and even the current market price. Target is currently yielding 2.9% and S&P Capital IQ has a 3-year estimated EPS CAGR of 8%. 1) I hold shares until expiration and shares are trading above $57.50. I will get to keep the $259 in options premiums. 2) TGT is trading below $57.50 at or before expiration and shares are assigned. I will receive 100 shares of TGT at a cost of $54.91/share. This is a discount of over 6% to where the stock is currently trading and 14.7% below my cost basis of $64.36/share. 3) Shares of TGT go on a run and I decide to buy back the put early for a profit less than $259. I currently have 9 open options positions and a total options profit of $716 for 2014. My options page has been updated accordingly. This article originally appeared on The DIV-Net on January 15, 2014. “I’m 30 years old, no debt other than the mortgage (30yr @4.875%) and started investing this year. My DGI portfolio is approximately $40k, $8K as an emergency fund and about $22k of Cisco stock in an Employee Stock Purchase Program. 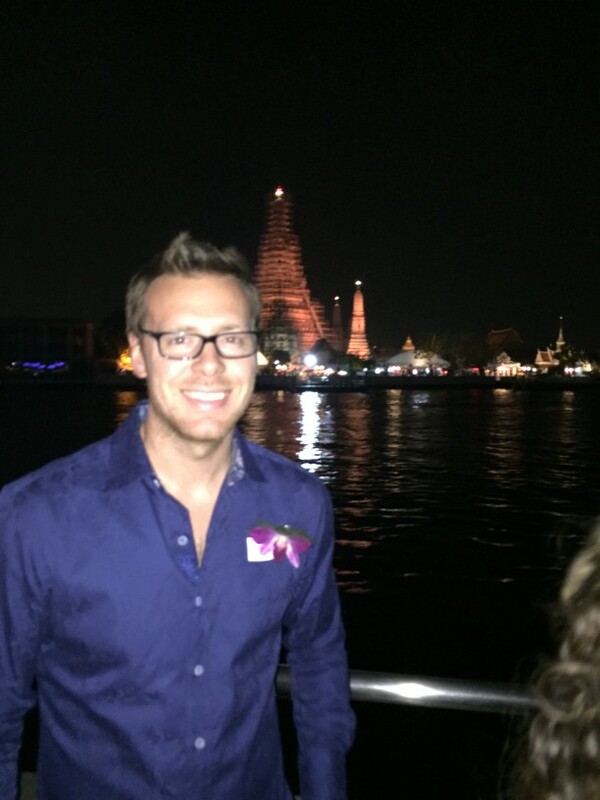 “I appreciate you following along on my journey and I’m happy that you enjoy my posts! Congrats on having low debt and starting a DGI portfolio. My first question is what type of tax treatment will you be getting if you sell shares of CSCO? I’m not real familiar with an ESPP since I don’t have one but I know selling at different periods after buying will have different tax implications. I would check that out first. I’m assuming you will be paying taxes on your profits. Next, I don’t know how much your PMI payment is. Let’s assume you are paying $100/mo PMI. That’s $1200/year. $1200/$20,000 is a ROI of 6%. Not so fast though. PMI can be written off your taxes. If you are in the 28% bracket (assuming) then that $1200/year is only costing you $864. If you now take $864/$20,000 you get 4.3%. This is much lower. Third, you need to consider what your expected return on investment is going to be for the $20k you are spending to eliminate PMI. This is your opportunity cost. Would that $20k be better in DG stocks? If I knew the markets would do the same thing in 2014 as they did in 2013 I’d definitely put the money in the market. However, nobody knows the future. “Thank you for your quick response and insight. Next, the PMI wouldn’t be deductible as I am outside of the AGI income levels for the year. My biggest concern falls exactly in line with your final point about the opportunity cost. I can only imagine what the income stream $20k+ could make in 20 years. I just want to make sure I’m not being blinded by this year’s amazing returns. Indeed, that is a good problem to have! I think if it were me I would probably pay off the mortgage and remove PMI especially since you can’t write it off. Although, nobody knows what the markets will do. I just have a feeling we won’t have as big of a year as we did last year if history is any guide. Either way, it’s a win/win. It’s just a sure thing with what you get when you pay down the mortgage. I suppose it depends a lot on your risk tolerance. This isn’t a simple decision to make. There are many factors and risks to consider. It’s especially difficult to assess your lost opportunity costs because nobody can predict the markets. There isn’t a BAD decision to be made here but I’d be inclined to go with the one that allows me to sleep better at night.